The Goshen Street Department will have its spring brush and leaf collection from April 29, 2019 to May 12, 2019. During this first collection we will pick up both leaves and brush. Please have the brush and leaves out before the April 29 start date to insure pick up. Because of the large amount of brush and leaves usually placed out for this first pick up, it tends to take longer for the crews to make their rounds. Residents are to have their leaves and brush placed at the curb, but not in the street so as to not cause a road hazard or hinder water drainage. Do not place brush or trash on or in leaf piles. Leaf and brush piles placed in alleyways will not be picked up. Do not place piles around fire hydrants, mail boxes or telephone poles. Feel free to call the Street Department if you have questions. During scheduled brush collections, the Street Department will make only one pass through the city to pick up brush. (The exception being the Spring brush and leaf collection normally includes 2 rotations of the City.) Please have your brush by the front curb, but not in the street, by that Monday morning at 7:00 am. Brush will not be picked up in alleys and the piles should be trash free. Crews cannot access the piles if blocked by vehicles. In conjunction with the Goshen Chamber of Commerce’s “Beautify Goshen” Week, the Goshen Street Department will be making additional disposal services available to assist city residents in their “Beautify Goshen” tasks. This free service is offered only during the first full week in May (an eight-day week with two Saturdays), and there is no limit to the quantity of items that may be disposed of. Residents must make arrangements to transport the items; there will not be curbside pickup. Because this free service is paid Goshen city residents' tax dollars, only City residents are allowed to dispose of items. IDs will be checked to verify residency. Monday––Friday, May 6 -10 from 7 a.m. to 6 p.m.
Saturday, May 11 from 7 a.m. to 3 p.m.
Non-hazardous refuse, such as furniture, carpeting, lumber, dry wall, metal and vinyl siding, windows, fiberglass insulation, mattresses, stoves, landscape timbers, bricks, etc. Electronic waste, such as computers, home phones, televisions, etc. During the other 51 weeks of the year, Goshen residents may place one or two large items per month with their regular weekly trash for removal. (This does not include electronics, old tube-type televisions or any cooling appliances containing Freon or any of the items not accepted in the Beautify Goshen disposal.) For details of the year-long, large-item disposal, contact Borden Waste-Away at (574) 293-5001. DIAL-A-TRAILER - The Dial-A-Trailer service begins on May 13, 2019 and continues through September 20, 2019. We will begin to take reservations for the trailer by April 29th. 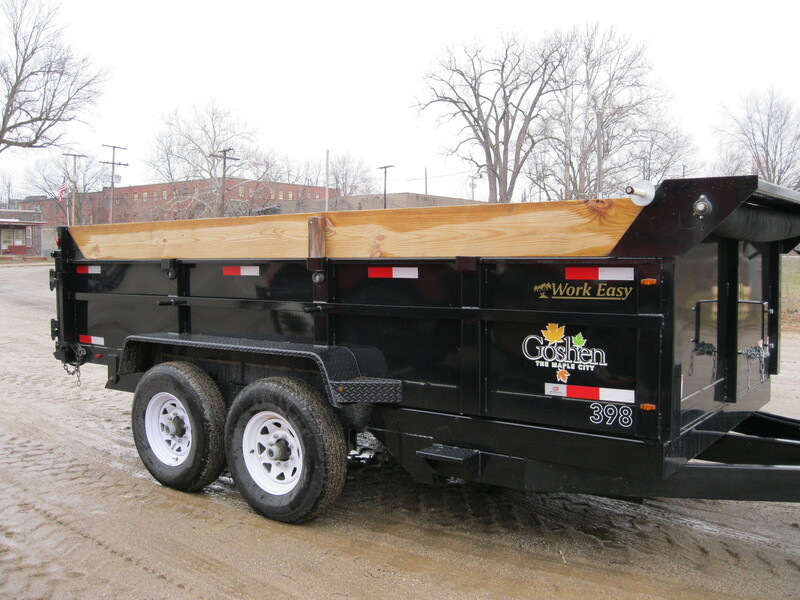 The use of a City dump trailer is available to Goshen City residents for the disposal of unwanted household items. There is a $75.00 fee that covers the use of the trailer as well as the landfill charges. This fee is to be paid and paperwork filled out prior to the delivery of the trailer. All discarded items are subject to the restrictions of the landfill. Residents may reserve a trailer by calling the Street Department Monday through Friday, between the hours of 7:00 a.m. and 4:00 p.m. 534-9711. BRUSH TRAILER - The 2019 brush trailer program runs from April 1, 2019 to October 25, 2019. The trailer can be reserved for the removal of large amounts of brush. If a homeowner is trimming his own bushes or trees, they can schedule a trailer to be dropped off to put their brush in. This program is for the homeowner only and not to be used by private landscaping or tree-trimming professionals. This program is free of charge as long as there is only brush placed in the trailer. Trash such as landscape timbers, lumber, old fencing and such is not allowed and if found in the brush trailer, the homeowner will be charged for a Dial-A-Trailer. With both programs, the trailer is usually dropped off in the afternoon between the hours of 2:00 pm and 3:00 pm and picked up the next day shortly after 7:00 am if one has scheduled to receive it on a weekday; if you have it scheduled for a weekend, it will be dropped off Friday afternoon and picked up early Monday morning. 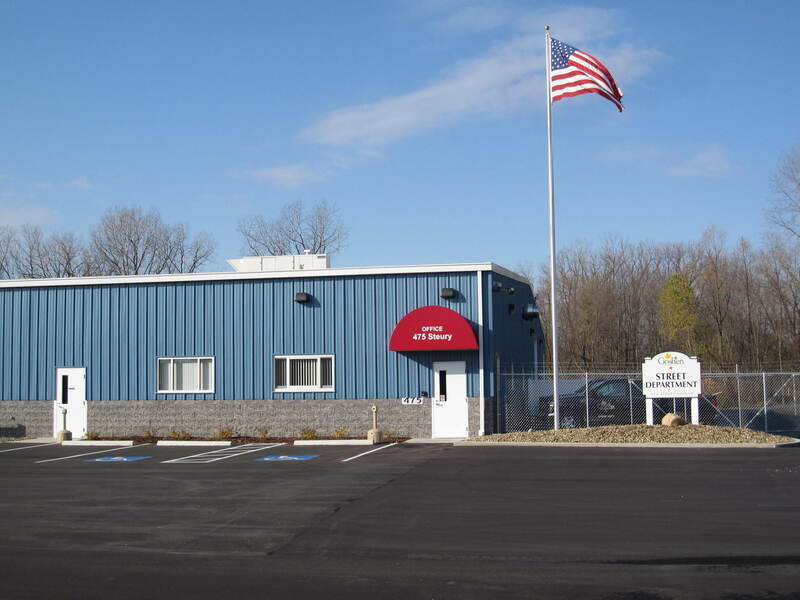 Located at 20100 CR 19, the center accepts brush and leaves, loose or in bags, at no charge to Goshen residents. However, if leaves are bagged, the bags must be emptied. There is a small fee for disposal of yard waste and grass clippings. The Environmental Center is located west of the intersection of North Indiana Avenue and C.R. 19 and is open 52 weeks a year. Winter hours are in effect from Dec. 1st through March 31st with hours being Monday - Friday 8:00 am to 4:00 pm. Summer hours are from Monday - Friday 8:00 am to 6:00 pm and Saturday from 8:00 am to 12 noon and they are in effect from April 1st to November 30th. The Environmental Center is closed on holidays. Proof of residency is required. The Environmental Center phone number is 533-6200. The City of Goshen is not responsible for disposal of large tree limbs and debris from home owners or contractors taking down a tree on their property. This is beyond the scope of normal yard waste. Rake leaves into long piles on the grass next to the street or sidewalk beside the curb, not more than 6 feet from the curb. For the safety of pedestrians and bicyclists, if you must pile leaves on the sidewalk, please leave as wide a walking path as possible. Leaves must be kept out of the street. The piles of leaves interfere with the flow of traffic. Later in the autumn, if it snows, the snow plows will be forced to drive over/through the leaf piles and end up throwing leaves from the piles far back into the yard. Residents and property owners that have a storm drain in front of their property are asked to keep the drain area clear of leaves. This will help reduce the chances of water backing up on City streets. When finished raking, spraying the piles down with water will help keep them from blowing away during periods of high wind. Bagged leaves will be collected, but it slows the city-wide collection down drastically. The leaf vac crew has to empty the bags out in order to vacuum up the leaves and they will leave the bags on the property. Do not place leaves in the alley—they will not be removed. Do not put sticks, twigs and other trash into or on top of the leaf piles. These items can damage the vacuum equipment and force crews to pluck these items from the leaves—another time-consuming task. Never park over a leaf pile. A hot catalytic converter can easily ignite the dry leaves and, in turn, your vehicle. Please do not park cars in front of leaf piles. The crews will not be able to collect the leaves. Park cars with at least 15 feet between leaf piles and vehicles. Please use off street parking during this time if available. The Street Department is responsible for the ongoing regular maintenance of City street surfaces. This includes patching pot holes, crack sealing, street sweeping as well as repairing the berm along a paved road. Anyone who notices an area of the road needing attention should call the Street Department to report the problem area. S.R.15 (Main St) and U.S. 33 (Lincolnway East, Pike St., Elkhart Road) are state highways. With the exception of street sweeping, all other maintenance issues fall under the jurisdiction of INDOT. One can notify Indiana Department of Transportation at www.in.gov/indot/2703.htm . When there is a storm, the Street Department is responsible for removing fallen limbs and tree debris located in the street right-of-way. If notified, the employees will remove dead animals located in the right-of-way. The Street Department has equipment to remove graffiti. Graffiti must first be reported to the Police Department. After the Street Department receives the police report, they will contact the property owner to get approval to remove the graffiti. If it is a decorative street light such as those found on Third St. or in Clover Trails subdivision, call the Engineering Department at 534-2201 to report it not working. The Street Department has the primary responsibility for snow removal within Goshen City limits. To insure a safe flow of traffic and to aid the Street Department with its snow removal efforts, the Mayor may need to declare a Snow Emergency. During snow emergencies, special parking restrictions and trash collection provisions may be enacted. The snow emergency and any special instructions will be announced through local television, radio, or news services during and after the snowfall. In times of emergency it is important to pay attention to local news media.